Where’s the Value in MACRA? The intent of Title I of the 2015 Medicare Access and CHIP Reauthorization Act (MACRA) is to improve care quality and reward value. 1 Tying an increasing percent of Medicare fee for service payments to quality or value through alternative payment models such as Accountable Care Organizations (ACOs) is also Department of Health and Human Services Secretary Sylvia Burwell’s goal. 2 However, in the proposed MACRA rule published in May, CMS will measure and score quality and resource use or spending independently. 3 CMS will not measure outcomes in relation to spending. CMS will not measure for value. If value is left unaddressed in the final rule the agency can neither meet MACRA’s goals nor Secretary Burwell’s. CMS cannot also reasonably expect providers to continue to enter into, and succeed under, risk based contacts if they do not know if they are incrementally improving quality or outcomes relative to spending. On background, MACRA replaced the 1997 Balanced Budget Act’s Sustainable Growth Formula (SGR) with two new methods to update annually Medicare Part B physician payments: the Merit-based Incentive Payment System (MIPS); and, the Alternative Payment Model (APM) pathway. The MIPS will consolidate the current Physician Quality Reporting System (PQRS), the Value-based Modifier Program (VM); and, HIT Meaningful Use (MU) and will consist of four component scores: quality; resource use; clinical practice improvement activities (CPIA); and, advanced care information (ACI), formerly MU. Under the proposed rule beginning in 2017 CMS will require eligible clinicians or groups to select and report on six quality measures from a list of over 250. One of these six must be cross-cutting and one an outcome measure. CMS proposes to add to these three global or population-based measures derived from Medicare claims data. In calculating the resource use component score CMS will calculate in dollars episode based, per capita costs by disease condition and a Medicare spending per beneficiary amount. Providers will select at least one of 90 CPIA measures that address, for example, beneficiary engagement and expanded practice access. The ACI measure will consist of a HIT capability base score and a HIT usage performance score. Providers would earn a MIPS composite score that totals these four, differently weighted, component scores. MIPS is budget neutral. Depending on how one’s composite score compares to benchmark scores and other MIPS participant scores, half of providers will receive a positive score and half a negative score ranging from minus to plus four percent beginning in 2019 to minus to plus nine percent in 2022 and beyond. If a provider group meets the definition of an “advanced APM” providers are exempt from MIPS and will receive beginning in 2019 a Medicare Part B five percent lump sum bonus payment. Measuring quality and spending separately can and does produce “ill advised” or perverse results. Consider, for example, the Medicare Shared Savings Program (MSSP). In 2014, the most recent year for which performance data is available, CMS paid bonuses or shared savings to 86 MSSP ACOs because their performance year spending was less than their financial benchmark. These ACOs had a mean quality score that was, however, worse than the mean score for the worst financially performing 67 ACOs, or those that exceeded their negative Minimum Loss Ratio. (None of these 67 ACOs received shared savings). In addition, average spending among the 86 ACOs was only $29 less per beneficiary compared to the failed 67 ACOs, or $10,537 versus $10,566 for the performance year. The 86 ACOs were successful because they had comparatively higher financial benchmarks. With quality unrelated to spending, CMS effectively rewarded the lowest quality and highest spending or the lowest value performing ACOs. 10 Under the proposed MACRA rule this problem will likely get worse. Regardless of their quality performance, spending efficiency or the combination thereof, ACOs defined as “advanced APMs” will automatically receive a five percent APM bonus beginning in 2019 simply for participating. CMS has an opportunity in the agency’s final MACRA rule to begin to measure for value. Among other opportunities, MACRA funds $15 million annually between 2015 and 2019 to identify gaps in MIPS quality measures. These funds could be used to develop new measures that align with the Department’s National Quality Strategy’s “efficiency and cost reduction” priority area, or per the proposed rule “measures that reflect efforts to lower costs and significantly improve outcomes.” 11 CMS could look to and work with the International Consortium for Health Outcomes Measurement (ICHOM) to both exploit and develop additional and much needed outcome measures. Working with ICHOM also provides an opportunity to compare Medicare program performance internationally. 12 CMS could also create a minimum resource use threshold. For example, California’s Integrated Healthcare Association’s (IHA) value based pay for performance program imposes both quality and spending thresholds. If both thresholds are not met the provider or provider group’s performance score suffers. 13 As MedPAC suggested in its June 15th MACRA comment letter, CMS could identify and measure comparative performance or performance for all providers via claims data. CMS could then condition resource use scores based on spending in comparable performance categories. 14 (Conveniently, Medical Care Research and Review just published a review of seven methodological approaches that combine quality and spending to measure for efficiency. 15) Measuring for value could also be forwarded via how the agency builds out MACRA required care episode and patient condition group codes that are intended to improve resource use measurement. Lastly, in the proposed rule CMS does not define the agency’s bundled payment demonstrations as APMs. The agency could find a way to include bundled payment arrangements since the Bundled Payments for Care Improvement (BPCI) and Comprehensive Care for Joint Replacement (CJR) demonstrations are designed to improve value or outcomes achieved over spending. Performance improvement or innovation in health care cannot ultimately be achieved via the same conventional thinking that measures quality and spending separately or not simultaneously. Achieving one without the other and/or defining quality as, or a proxy for, value will continue to produce ACO-like false savings. Moreover, if CMS expects providers to continue to buy into and succeed in a pay for value, or foregone revenue, world, they need to measure and make known the causal relationship between outcomes and spending. The foremost MIPS and APM goal ought to be measuring and rewarding value. 1. For example, the House Energy and Commerce Committee’s MACRA summary states, “The new system moves Medicare away from a volume-based system towards one that rewards value, improving the quality of care for seniors.” At: https://energycommerce.house.gov/sites/republicans.energycommerce.house.gov/files/114/Analysis/20150324-HR2-SectionbySection.pdf. 2. The January 2015 press release noting Secretary Burwell’s goals, titled, “Better, Smarter, Healthier: In historic announcement, HHS sets clear goals and timeline for shifting Medicare reimbursements from volume to value,” is at: http://www.hhs.gov/about/news/2015/01/26/better-smarter-healthier-in-historic-announcement-hhs-sets-clear-goals-and-timeline-for-shifting-medicare-reimbursements-from-volume-to-value.html. See also the related February 2016 press release titled,” HHS reaches goal of tying 30 percent of Medicare payments to quality ahead of schedule,” at: http://www.hhs.gov/about/news/2016/03/03/hhs-reaches-goal-tying-30-percent-medicare-payments-quality-ahead-schedule.html. 3. The MACRA proposed rule is at: https://www.gpo.gov/fdsys/pkg/FR-2016-05-09/pdf/2016-10032.pdf. 4. The CMS “Measure Development Plan” is at: https://www.cms.gov/Medicare/Quality-Initiatives-Patient-Assessment-Instruments/Value-Based-Programs/MACRA-MIPS-and-APMs/Final-MDP.pdf. 5. The HCPLAN report is at: http://hcp-lan.org/workproducts/pm-whitepaper-draft.pdf. 6. 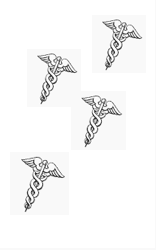 The Institute of Medicine report is at: http://www.nationalacademies.org/hmd/Reports/2015/Vital-Signs-Core-Metrics.aspx. 7. MedPAC, “Report to Congress: Medicare and the Health Care Delivery System,” (June 2014): 41. At: http://www.medpac.gov/documents/reports/jun14_entirereport.pdf?sfvrsn=0. 8. Michael E. Porter, “What Is Value In Health Care?” The New England Journal of Medicine (December 23, 2010): 2477-2481. At: http://www.nejm.org/doi/full/10.1056/NEJMp1011024. 9. Lawrence P. Casalino, et al., “US Physician Practices Spend More Than $15.4 Billion Annually to Report Quality Measures,” Health Affairs (March 2016): 401-406. At: http://content.healthaffairs.org/content/35/3/401.abstract. 10. MSSP 2014 results are at: https://data.cms.gov/Public-Use-Files/2014-Shared-Savings-Program-SSP-Accountable-Care-O/888h-akbg. See also, David Introcaso and Greg Berger, “MSSP Year Two: Medicare ACOs Show Muted Success,” Health Affairs blog (September 24, 2015). At: http://healthaffairs.org/blog/2015/09/24/mssp-year-two-medicare-acos-show-muted-success/. Similar results have been found in the Medicare Hospital Value-Based Purchasing (HVBP) program. In 2015 CMS paid 231 hospitals financial bonuses for spending efficiency despite the fact their quality scores were “significantly worse” than medium and high quality hospitals that received bonuses. See, Anup Das, et al., “Adding a Spending Metric to Medicare’s Value-Based Purchasing Program Rewarded Low-Quality Hospitals,” Health Affairs (May 2016): 898-906. 11. Note 3, pg. 28194. 12. For information concerning ICHOM go to: http://www.ichom.org/. 14. MedPAC’s June 15, 2016 MACRA comment letter is at: http://www.medpac.gov/documents/comment-letters/medpac-comment-on-cms’s-proposed-rule-on-the-merit-based-incentive-payment-system-and-alternative-payment-models.pdf?sfvrsn=0. This approach also avoids the inherent problem of clinicians selecting measures on which providers already perform well and measures that represent only a small percent of a provider or provider group’s overall performance. 15. Andrew M. Ryan, et al., “Linking Cost and Spending Indicators to Measure Value and Efficiency in Health Care,” Medical Care Research and Review (May 23, 2016). An abstract of the article is at: http://mcr.sagepub.com/content/early/2016/05/23/1077558716650089.abstract. David: Very important message and well written. “Value” requires context as you note. This point must be driven home.